WOW Air has started selling fares on a new route (for them) from Toronto to Tel Aviv, Israel. 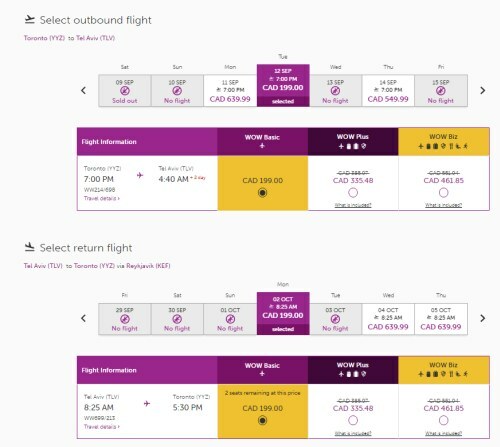 The introductory fares are officially $199 CAD each way - but keep in mind this is the unbundled 'flight only' price. The flights also have a half-day layover in Reykjavik, Iceland on the way there. Update @ 2:00 PM EST - Looks like these have all sold out. 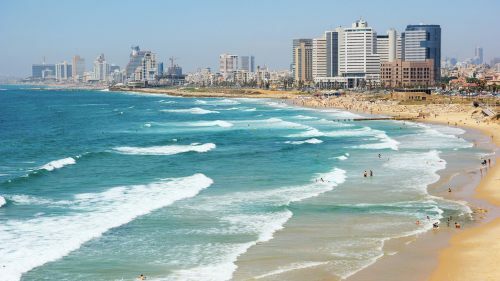 There is still one $199 flight from Toronto to Tel Aviv (Sep 19) but no cheap ones coming home.